2.0 has had a Decent 2nd Day considering the drop from 1st Day figures was not that big. But the problem lies in the fact that it hasn`t opened up-to expectations other wise which this is a decent hold. The film has to grow Big on Saturday and Sunday to offset the damage of 1st Day and it remains to be seen although it looks unlikely but not improbable. 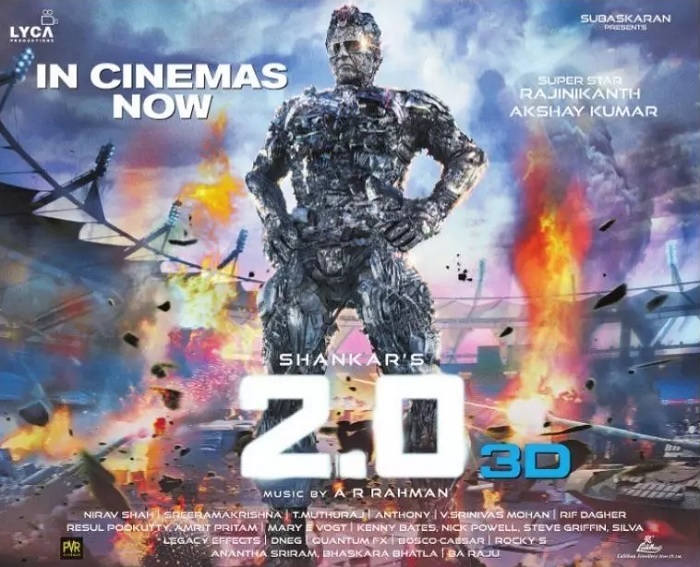 2.0 has raked in around 9 Cr gross each from Telugu States & Tamilnadu with Hindi Markets contributing around 17 Cr. The film is estimated to have earned more than 5 Cr from remaining southern markets taking the Total All India 2nd Day Gross past 40 Cr mark with an estimate of 33 Cr Nett. Note : Numbers are purely estimates and actual`s may vary.